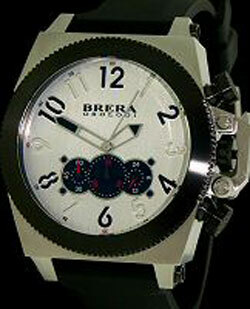 Brera is the brand watches the brainchild of two Italian brothers, Maurice and Andrea Pasi. Launched in the U.S. in 2008 within the U.S. department store Neiman Marcus and Barneys, Brera watches have been many successes enjoyed by conquering the American market, South American and Japanese. And has become the favorite accessory of many celebrities like Elton John, Oprah Winfrey, Britney Spears, Lady Gaga, Peter Gabriel, Lamar Odom, Marty Ramone, Kate Walsh, Leven Rambin and Eric Singer. A real must-have for fashionistas is that for all watch enthusiasts. Watch Brera was first marketed in America, but in fact the idea was born in Milan just in the offices of the brothers Pasi in the Brera district, the district has always linked the famous art and design. The brand has developed so marked in the rich tradition of Italian design and has always been influenced by the continuous attention to quality and detail. Brera Watch is deeply influenced by the style, fashion and Italian manufacture. The brand, with extensive experience in the watchmaking world of inventors, is characterized by the desire to create watches with a unique and practical design, using innovative materials and processes in line with strong aesthetic, personal and unique. The design philosophy of Brera Watches, in spite of its modernity, has never inspired by current trends. Instead, focus on the creation of modern watches, extreme care in details which appear to be beyond time and fashion managing to meet the taste of a wide range of fans. Brera Watch was established to create and develop collections man / woman (now in Italy will only menswear collection) that contraddistinguano for taste and refinement combined with modernity and avant-garde. In this way Brera watches can satisfy even the most demanding clients with valuable and unusual time piece.